Cash-strapped thrill seekers looking to experience Tinseltown magic can do so with coupons for Universal Studios Hollywood. The best place for discounts is online. Coupons can be printable or click-through or electronic barcodes, so read the websites carefully, paying particular attention to expiration dates. The theme park's official website provides a list of its current online specials. Keep in mind that for the 2017 season, regular one-day admission is $105 for adults, $99 for those under 48-inches tall (at the park entrance) or ages 3-8 (online), and free for kids under 3. Other perks show up as well, like seating or parking options, so watch for those by frequently checking the website. Their California Neighbor pass has extra discounts for special events, and annual or season pass holders get newsletters and additional discounts throughout the year. Members of AAA are entitled to $3 off at the front gate with their membership card or higher discounts if you book your trip ahead. Add in the perks of special offers throughout the year, and this can be a bargain. Some of the restaurants on-site offer discounts for AAA members too, so don't forget to ask. 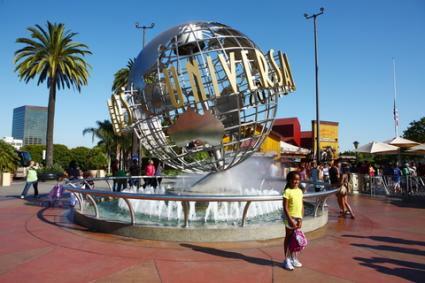 California colleges offer coupons from Universal to their students: check out this list of schools and see what yours may offer in the way of deals for Universal Studios Hollywood. You can buy passes to Universal Studios Hollywood at Costco locations in Southern California, but Costco members across the country can also purchase discounted annual passes online. These can offer great deals with free parking. This card is almost as magical as Harry Potter: purchase the card (for 3 days or longer), and you can visit Universal Studios Hollywood and other local attractions at big discounts (nearly 50% in some cases.) You can "build" your own card as well, choosing what you love to see and do. Although it advertises itself as a discount ticket source for all things Disney, Universal Studios is front and center at Mousesavers. Check them out for links to limited-time coupons for Universal. Coupons can save money on admission to Universal Studios Hollywood, but not all coupons are authentic. In the past, there have been reports of counterfeit coupons. Universal Studios will not guarantee coupons, so the best place to use your coupons is online through reputable sources. If you are unsure, call Universal Studios customer service directly and check.